dance.net - Finally, a place to practice! (10149445) - Read article: Ballet, Jazz, Modern, Hip Hop, Tap, Irish, Disco, Twirling, Cheer: Photos, Chat, Games, Jobs, Events! Finally, a place to practice! 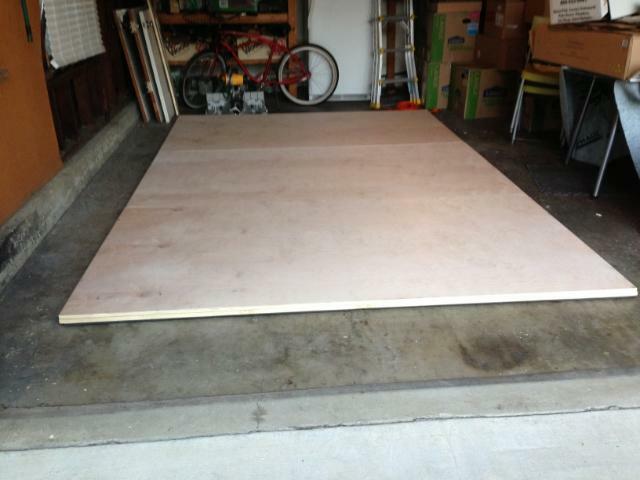 This past weekend I was finally able to build a practice floor in my garage. We bought the house back in April and moved in at the beginning of May. 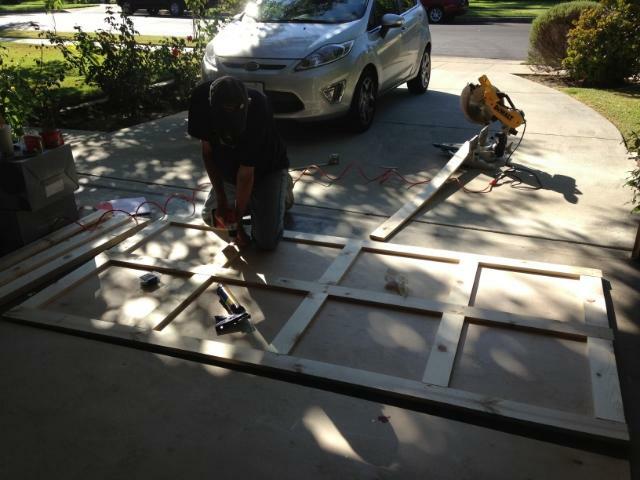 I was patient, waiting for us to be settled before we tackled this project. We did most of it in one (long) day. 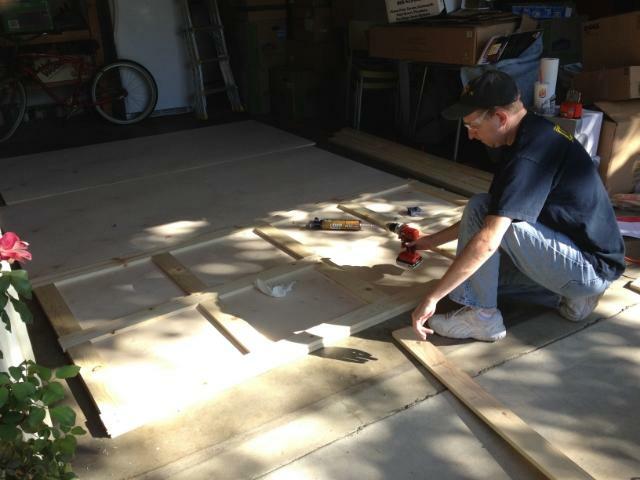 Then we waited overnight for the adhesive for the padding to dry, flipped the boards and put the screws in the seams (from the top so that it would be easy to take apart when we need to park a car in the garage). 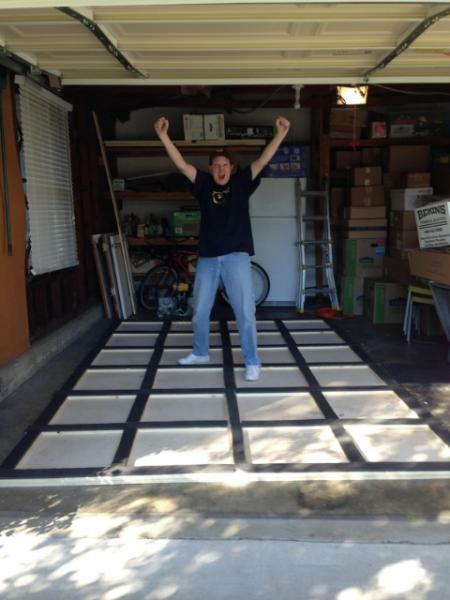 It is a slightly modified version of ZandB's dance floor. 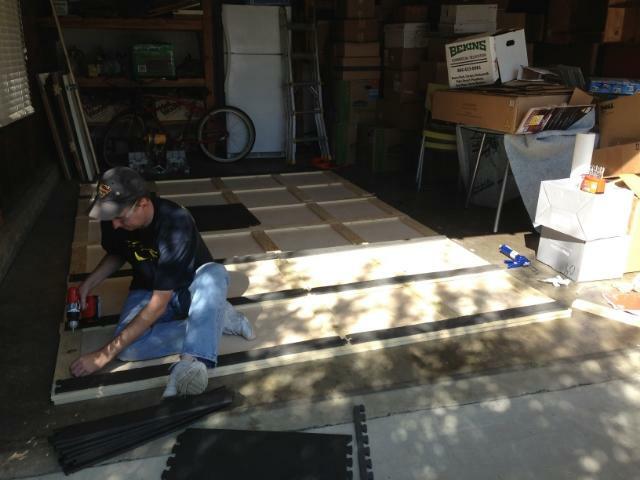 We used 4x1 boards for the lattice instead of 2x1 boards. The padding is cut up puzzle mats from target that I had - only one survived the carnage (out of 8). 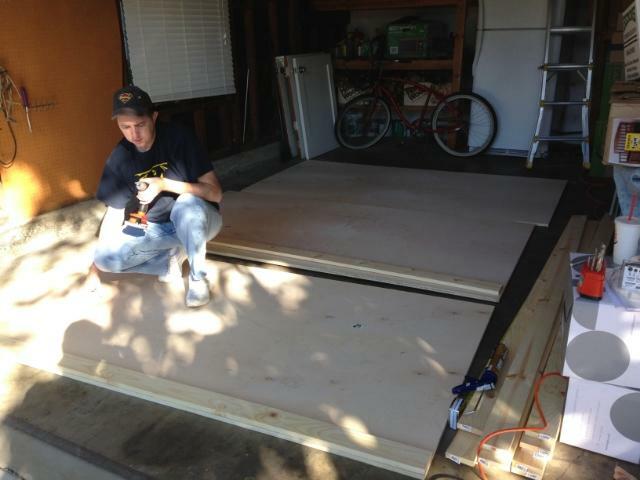 The total size is 12'x8' and takes up about half of my 2 car garage. Just 4 more weeks until Oireachtas! 10 Replies to Finally, a place to practice! re: Finally, a place to practice! Yay! That's exciting Enjoy it! How is it for dancing? I've only done hardshoe on it so far (and a warm up of jumping rope) and it is fabulous! It isn't slippery at all and there seems to be a nice amount of give - no additional fatigue in my legs and joints at least. If you have a little more money to throw at your practice space, I highly recommend a set of sliding mirrored closet doors leaning against the wall. Gives you great feedback, and for about $80 you can have 2 mirrors that cover 80" tall by 70" wide. just dont kick them too much... www.dance.net . . .
Mirrors are up next on my list - then a barre. I found mirrored closet doors online at Home Depot and Lowes - I assume the cheapest set works just as good since you aren't actually using them as doors. I'll have to move the few tools hanging on the peg wall (left by the previous owner) and I might have to cover up the window with a mirror. Awesome! My dream home will have one of these. Maybe my current home can have a teeny version. Lookin' good!! Is it loud? And how is it for space? What about spring? Sorry for the barrage of questions... I guess I'm just very curious! It's loud enough, but not so loud. I just have my iPhone with a boom speaker and I don't have to have it even close to full volume to hear over hardshoe. And the neighbors haven't complained yet I think it helps that the other half of the garage is mostly cardboard boxes right now, so they probably absorb a lot of the sound. The space is OK - I would love more of course, but it wouldn't have been feasible since it has to be disassembled when we go out of town and need to park a car in garage. I have to keep things small if I do a full step, but it is great for working on sections of steps and drilling and breaking things down (which is really what you should be doing when you practice). The spring is fine as far as I can tell - no different than the floor we dance on the the dance studio. I am not in any additional pain after my 30-45 min practice (and 15 minute jump rope warmup). I can't actually feel it give, but I am certain it does otherwise I wouldn't be able to move the next day. Another great source for mirrors is The Habitat ReStore. The enormous bathroom mirrors are being replaced with smaller ones. So, you can pick up a couple of huge mirrors for about $50-$60. We have a barre and so enjoy it! Three serious handrail supports, in the studs, with a standard handrail should be $30 or less. We bought fancier supports for looks, which drove up our price. Well done on the dance space! Enjoy every bit of it.